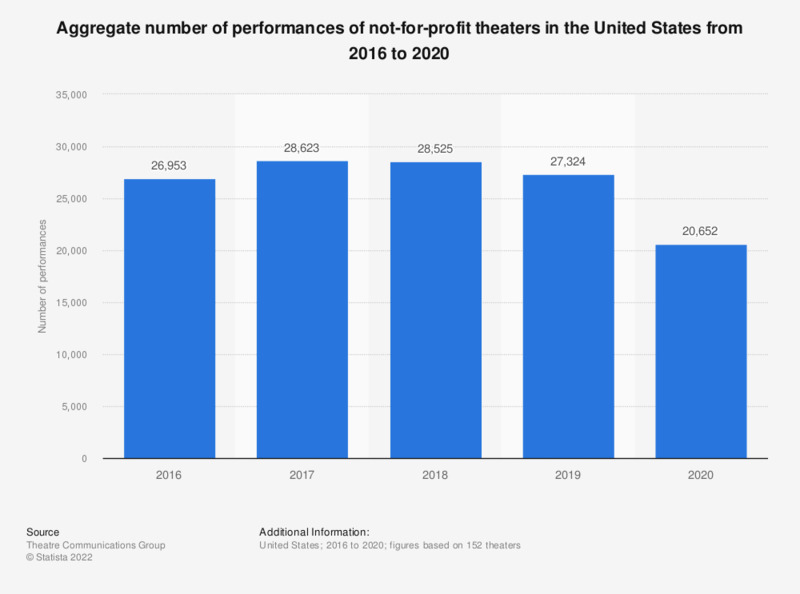 This statistic shows the aggregate number of performances at the 129 surveyed not-for-profit theatres in the United States from 2008 to 2017. In 2017, around 41,588 aggregate performances were counted. * 2017 data is based on the analysis of the 129 Theatre Communications Group (TCG) theatres that responded to the TCG Fiscal Survey. Aggregate number of performances at surveyed 129 theatres.